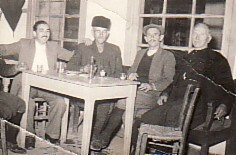 Above: At Kasiakou's Kafeneio. 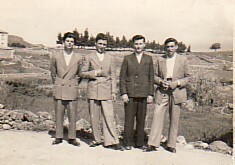 My father, Dimitrios, is second from the left, while Haralambos Hatzigiannis and Padoflas are second and first from the right respectively. 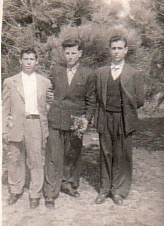 Above Right: With Falia (left) and Kostantinos Kalamas (right). Above: Friends. From left, we are: Haralambos Marinos, Petko, myself and Stavros Lafazanis. 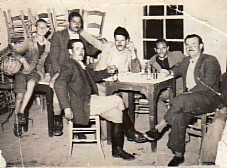 Above Right: At Koutros' Kafeneio. I am on the right. Above: My sister, Stavroula, and her husband, Dimitrios Kouvellis. 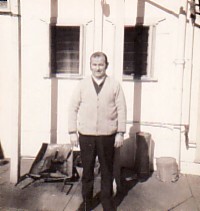 Above Right: At the back of the ABC Cafe, Grenfell, owned by my sister, Stavroula, and her husband, Dimitrios Kouvellis at the time. Above: Grenfell. 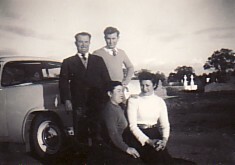 With my brother, Giorgos (standing right), my sister, Stavroula (sitting left) and Katina Koundouri. 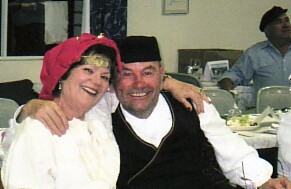 Above Right: With my wife, Anna, at a Apokries social dance organised by the Mytilenian Brotherhood of Canberra (2009).